Ciputra Hanoi includes 09 buiding complex with a thousand Executive apartments and penthouses for rent and sale. 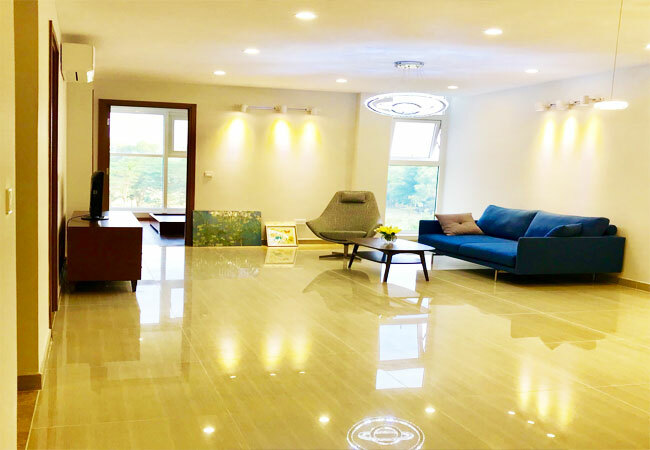 The Apartments in Ciputra Hanoi are provided the best infrastructures including electricity, clean water supply system, wide road and open neighborhood landscape. All the modern facilities and services makethe Executive Apartment be a most expected home for those who are so busy to enjoy the usual daily lifestyle. Life in Ciputra Hanoi is good, safe for children to play outside and quiet enough. It's quiet and safe for kids to run around and play or ride their bikes. I recommend it for anyone who has kids. If you don't have a motorbike, and plan on taking taxi's everywhere, then it ends up being expensive. Ciputra Hanoi are more quietter than living in City Center Hanoi. There's one overly priced tiny western supermarket there, and one restaurant, with a fancy westernized menu and inflated prices for their average tasting fare. The streets are empty, except for those giant horses towering down over you. It kind of feels like a giant rain cloud is about to open over the place. Really, its a huge ghetto for rich people. Under the guidance of the Peoples Committee Hanoi, Architecture Hanoi and Planning Department, Tower G02 and G03 apartment complex within walking distance of West Lake -Tay Ho Hanoi. The G01 G02 Tower includes a hundreds luxury apartments and pent-houses for rent and sale with fully facility and furnished. 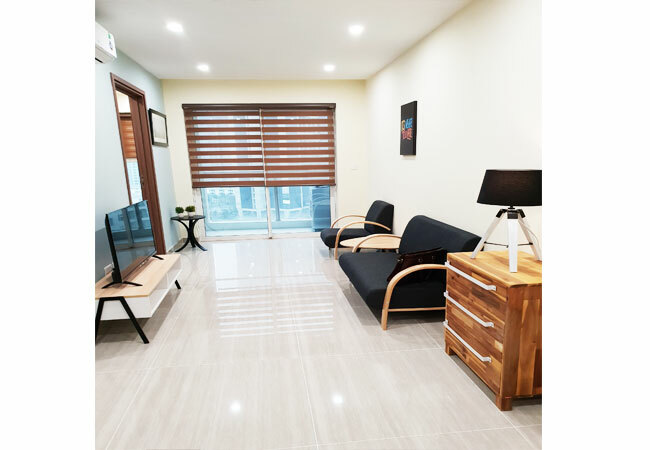 This apartment complex consists of two 20-floor towers (G02-G03) that include recreational clubs, close by the administrative, medical and sport centers of Tay Ho District. These apartments are also near ( UNIS) the United Nations International School and local schools. 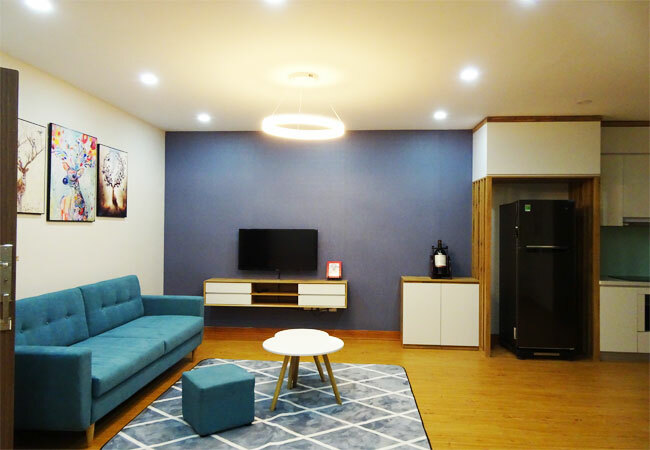 Located at the Southwest Gate, adjacent to Nguyen Hoang Ton road, the E1 Tower Executive Apartment provides professional services to welcome and satisfy residents of this Tower. The apartments for rent in E1 with Facilities include tennis court which is ready for registration by residents of the area, serving as a modern facility to satisfy sport – loving persons; car park which comes in harmony with the green surroundings that creates comfort for home – goers after their hard work; the swimming pool completes an ideal space for all residents to recreate their vitality. P1 - P2 Tower is located at the Southwest Gate, adjacent to Nguyen Hoang Ton road with set amidst lush gardens, beautiful landscapes and standing tall next to a park and a lake is Park Lane. All apartment in P tower includes a private lift entrance right at your doorstep and a 24-hour security system in one of the most famous landmarks of Hanoi. Located next to the future Ciputra Hanoi Commercial area which will consist of a combination of hotels, offices and shopping. Only minutes away from is the future Ciputra Mall Hanoi, a premier shopping center that offers a myriad of choices of retail, entertainment and lifestyle destinations. Well within walking distances of the proposed international class golf course and sports club. Premier lifestyle awaits you at The Link. Other facilities include United Nation International School (Operation since 2005), Kinderworld Kindergarten & Pre-school (Operational since 2007) future hospital, future restaurants and food centers, new infrastructures, playgrounds, green belt and much more. Everything you need for your quality lifestyle is at your doorstep… Leisure, hospitality, at the highest level of comfort, safety and security. Premier lifestyle awaits you at The Link this is the place to be. Living at the Link Tower is all about quality and convenience. Designed meticulously by our project designers with the needs of you home in mind, the facilities at The Link define good quality living for any family. The children could enjoy children playground or children’s pools. The swimming pool, fitness center, tennis courts are the perfect solutions or distressing and rejuvenate one’s mind and body, or just relaxing and indulge in the facilities. The visually beautiful landscaping and gardens surrounding The Link will awaken your senses. To complete your lie privilege, get ready to experience the epitome of comforts and play hosts to your discerning guests: Business center and function halls are also available for residents to use. Groceries and households needs are just a step away from your door. Privacy is utmost importance at the The Link. A team of responsible estate management personnel for out resident’s safety and privacy, 24 hours reception and security service some of the estate management services. There are also ample secure underground parking spaces. In addition, design considerations has been made for all the facilities contained in the towers to accent your premium apartment ideal for relaxing with family, entertaining friends or just enjoy living as its good nature. All your requirements send to Mr. Thao , Manager at rental@gialonghousing.com or his Mobile: 0989.488.668 , We will send the latest available properties and Pictures for your evaluation before the visit ! Size of the newly renovated 03 bedrooms apartment on high floor at E5 building Ciputra is 153m2, with 03 bedrooms and 02 modern bathrooms, closed modern kitchen with access to the laundry area, balcony with Ciputra and developing area view. 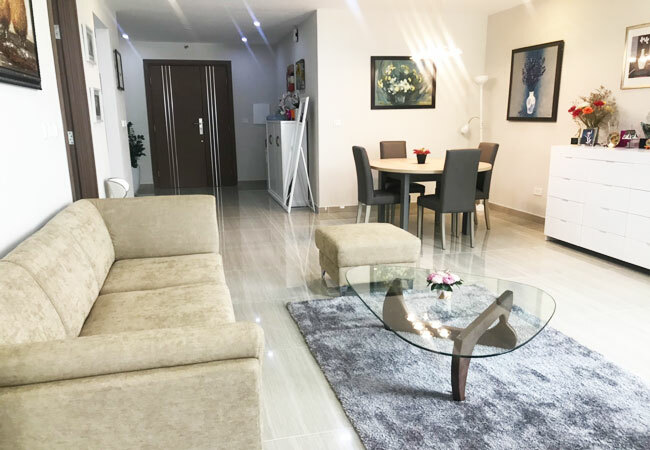 This apartment is located on middle floor of E5 building, with 24hrs security, reception, short walking distance to children playground, minimart, gym, pool, easy traffic going to UNIS, Airport and business centers. The rental flat is fully covered with high quality wooden floor and fully furnished with modern bright color furniture. The living room of this apartment is cozy with a decent size balcony to bring the fresh air and natural light inside. The bedrooms are brightened up by the light coming from windows. 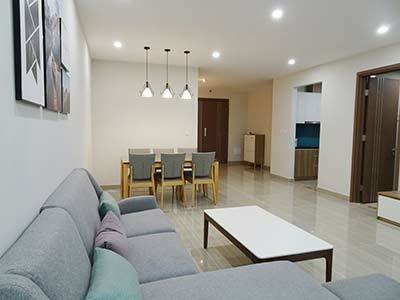 This apartment is modern and is a place which is worth for living. The renovated 03 bedroom apartment at L4 Building Ciputra. This apartment has 02 bathrooms, living room with balcony, dining room combined with renovated opened modern kitchen, laundry area. This apartment on 3rd floor L4 building, short walking distance to minimart, cafes, restaurants, Premium Ciputra Club, gym and pool. It’s also in the short driving distance to International school such as UNIS and SIS, convenient traffic to the Airport and city center. 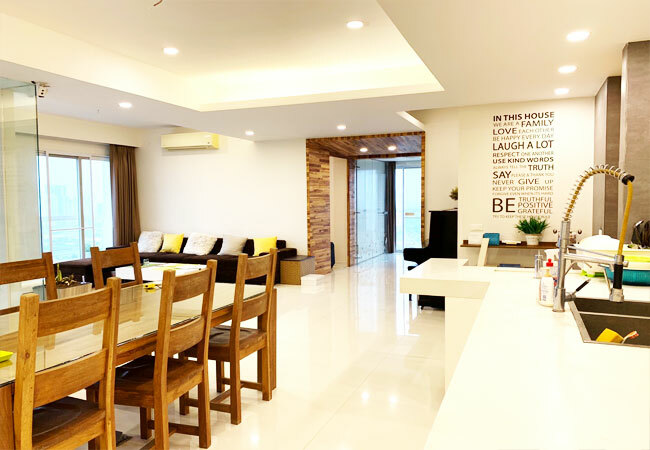 The beautiful 02BRs apartment at L3 building Ciputra has living area of 91 m2, with 02 bathrooms, living room combined with dining room, modern kitchen with access to the laundry area. This apartment is on L3 building in Ciputra, with good view of city. It has 24hrs security, reception, short walking distance to pool, gym, minimart, and restaurant. Convenient traffic to airport and International school. 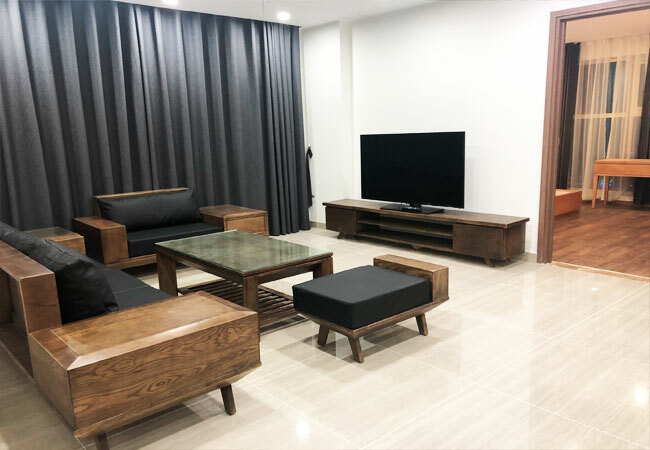 The 03 bedroom apartment for rent in L4 Ciputra has using area of 154m2, composed into 03BRs, living room combined with dining area, kitchen with access to laundry room. This perfect new home is well located on high floor of the brand new L4 Ciputra, with 24hr security, reception, short walking distance to pool and gym and minimart, 5-10 mins of driving to UNIS and other International school. 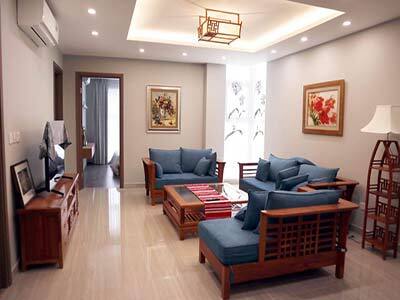 3 bedrooms apartment in Ciputra Hanoi is ready for rent now. It is a brand new apartment at L3 tower. The apartment is at the corner of the building, thus, it is very bright with a beautiful view. 114 sqm apartment, 3 bedrooms and 2 bathrooms. The kitchen is big and well done with an open concept. Lot of space for storage. The landlord provides full furnishing for this home. Big and comfortable sofa set. Very modern bathrooms. You will enjoy living in this home a lot. The apartment is located on high floor of The Link 3 Ciputra, facing a very nice view of golf court, offers full service and facilities. All furniture is new and modern. The apartment has 114 square meters of living area include 3 bedrooms, 2 bathroom, offers full modern furniture, facing very good view to Ciputra International Hanoi. 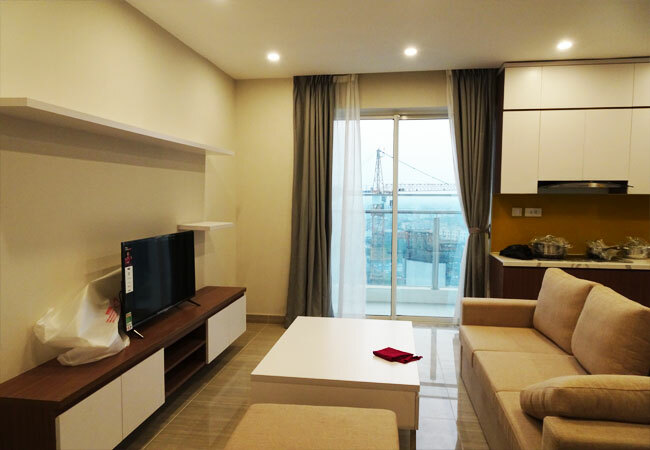 This apartment for rent is located in the link 3 ciputra hanoi come with 114 sqm, 3 big bedroom and 2 bathroom, it offers full furnished, all interior is modern and new. The price now is just 1350$ a month. The stunning 02 bedroom apartment at L3 Ciputra, high floor with balcony has using area of 57m2, with 02 bathrooms, living room combined with dining room and opened kitchen. This apartment is on high floor of the brand new L3 building, with 24hrs security, reception, short walking distance to pool and gym, nearby restaurants and minimarts. It’s convenient to access to Airport as well as business centers from this location.